If you’re like most people, the word “famine" makes you think of African deserts or Biblical plagues. But you’re not sure what it really means. Picture this: Your kids eat three meals a day, but you have to cut them down to two…and then one. You’re usually able to give them a little milk from your goats or cows, but the animals’ milk has dried up, so you resort to black tea instead. Your little ones keep saying they’re hungry, and you try to find ways to tell them you’re all out of food - without scaring them. You start eating less so they can eat more, but now you’re dizzy all the time. You begin to really think the hunger will kill you. Famine is a widespread hunger epidemic that affects children, mothers, and fathers. And it’s happening right now around Kinships in Kenya and Uganda. 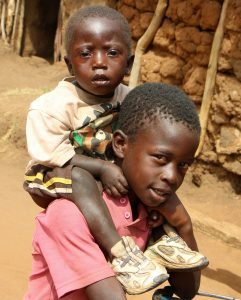 But because of you, orphans who have already spent too many days hungry are being sustained during the famine. You’ve shipped millions of meals for Kinships to feed these kids and starving members of their community so they don’t have to fear where their next meal will come from. The rainy season has started, but the UN is predicting it will not be enough to make up for the severe droughts over the past few months. Food rations for hungry families have been cut in half. Pray for rain - and make it rain! You can help now by sending more meals. Just $45 will feed 30 kids for 30 days. Give Food to Starving Families in Africa! Are You Feeling Called to Sponsor a Kinship? This Kinship also needs monthly sponsors! They are taking care of 30 orphans and foster children, serving 35 children in day care, and even feed up to 1,500 kids every month. You can help with a monthly gift of any amount. 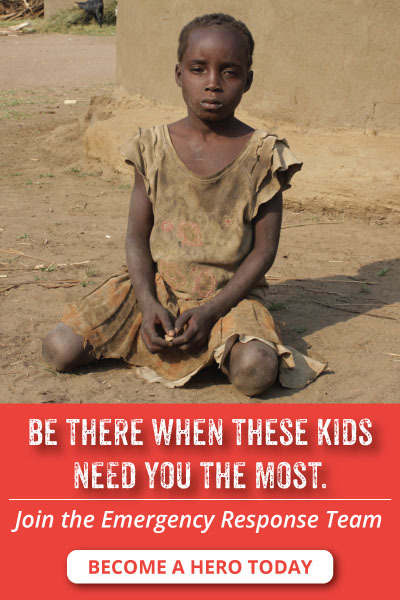 Just click here to visit their website, donate now, or call us at 877-577-1070 to donate. Hassan’s grandmother went to bed one afternoon complaining of a bad headache, and she never woke up. He broke down in tears as he told us his story, crying “I couldn’t believe it. She had been alive the whole morning. She had even prepared breakfast for us. Only that, she had been saying she had a headache. People don’t die just like that.” It was only when people began gathering for the funeral that he realized she was really gone. And he was really alone. What’s next for a boy like that? He’d lived with her since his parents died when he was seven. She did everything she could to take good care of him, and now Hassan had nothing and nowhere to stay. Hassan and his grandmother were part of the Kireka Kinship’s church family. And because of your gifts to care for orphans, the Kireka Kinship is going to be able to take Hassan in and give him a new home. But wait – there’s more! Hassan hadn’t been to school for the last two years because his grandmother couldn’t afford it. Now, thanks to your support of Kinship United, he will not only have a safe home and family, he will also be enrolled back in school! Hassan’s story could have ended so differently. Like many other boys in his situation, he could have been left to wander the streets after his grandmother died, rummaging for food and eventually either starving to death or getting into trouble trying to find ways to survive. Thanks to you, he will not have to grow up too fast or face a bleak future. 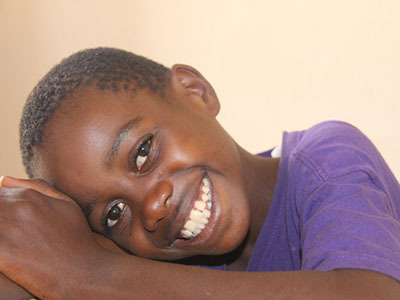 He has a second chance at childhood and the promise of greater opportunities to come! Many of the children you help have suffered through the unimaginable. 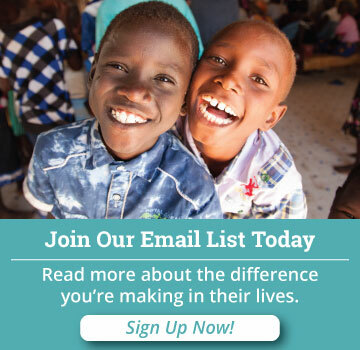 Give them the gift of hot meals, clean water, a loving home, and much more. Interested in Supporting a Kinship Project? Connect with a Kinship Project - and the orphans and widows living there - on a more personal level. Be there for them when they need you the most.